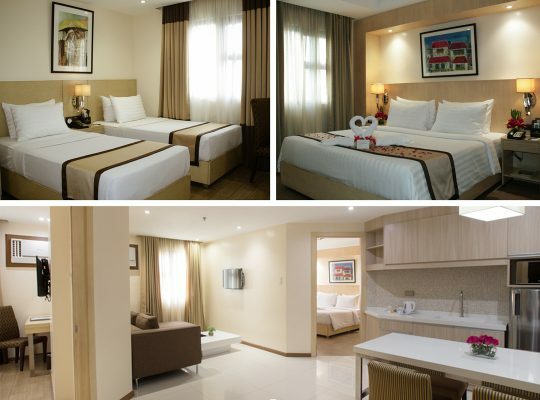 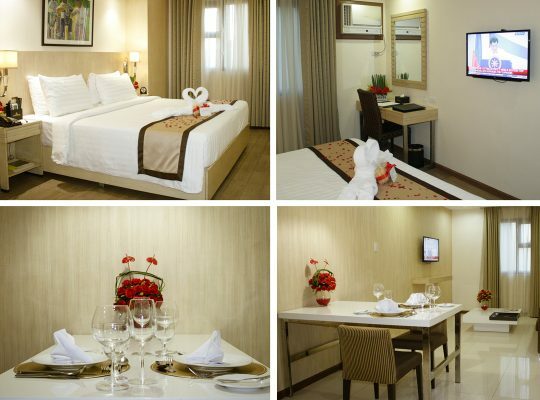 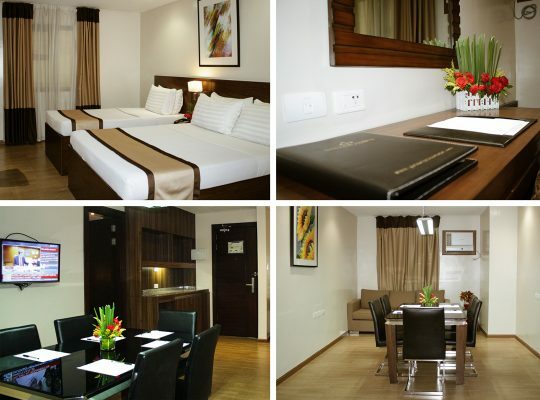 A blissful room with two (2) bedrooms that can fit a King-size bed and two (2) single beds. 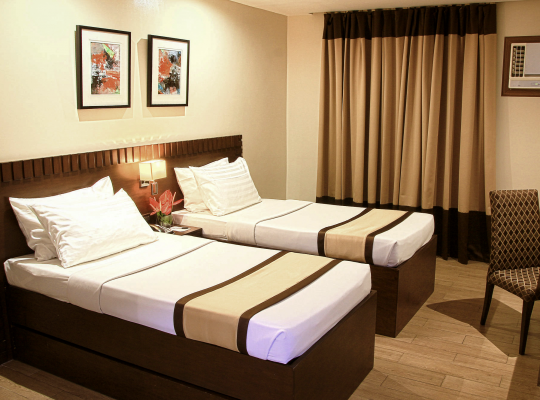 A well appointed room good for two, you may get extra bed to accommodate the third person. 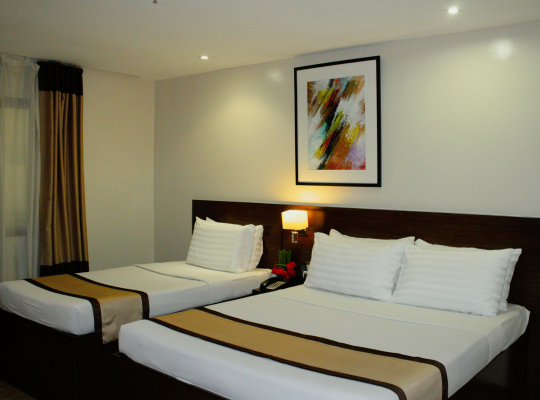 Make yourself comfortable with this room on a bigger bed and a single bed for your companion. 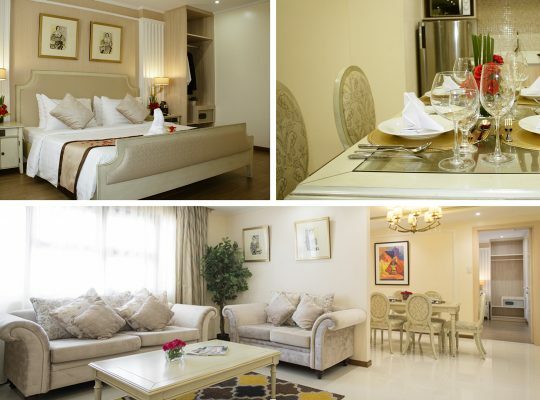 Featuring a well appointed room, and a spacious living area and a kitchenette.